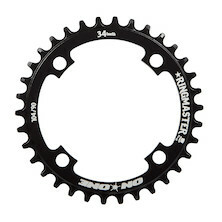 Chain rings are the cogs that drive the chain around the front bottom bracket axis, and as such are key components that transfer power from the cranks to the rear wheel. Upgrading your chain rings is an affordable but highly effective means of improving your drivetrain's performance, with today's high-end alloys and advanced teeth profiles stepping up both shifting speed and durability meters. 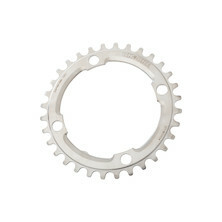 We stock chainrings from top manufacturers like Shimano and SRAM, and also offer the now legendary On-One Stainless Chainring, which is perhaps the best ever value dedicated single speed chain ring anywhere on the market.